What economic gains are in the peace deal between longstanding foes? Image credit Yemane Gebremeskel Twitter via Wikimedia Commons. 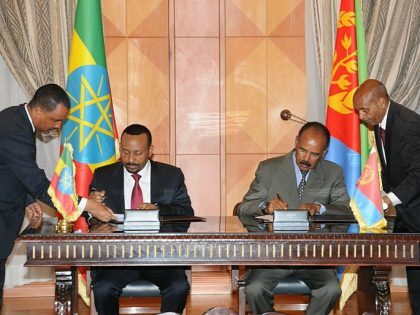 In July this year, a historic peace deal was signed between the heads of state of Eritrea and Ethiopia. For two decades, the two countries had been stuck in a “no war, no peace” stalemate with highly militarized borders, no diplomatic cooperation, and no cross-border trade, investments or transport. By signing the deal, the heads of state most importantly agreed that the two countries will re-establish close political, economic, social, cultural and diplomatic ties, and that both nations will work on regional peace. 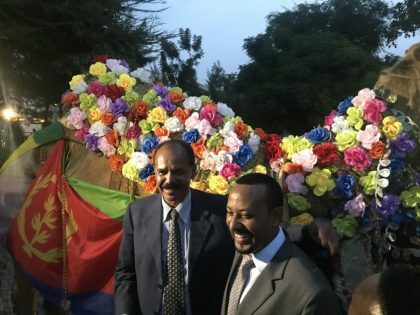 Embraced by the public on both sides of the border, the peace deal has been hailed as a positive step towards boosting peace and security in the Horn of Africa region. Surprisingly though, no one has yet offered an analysis of what the peace deal means for the economic prospects of Eritrea and Ethiopia. This article makes some predictions, arguing that both countries stand to benefit economically. But the potential upside is much larger for Eritrea. This is, however, a potential that has many obstacles to overcome before it can be realized. Eritrea has often been likened to North Korea, a dictatorship considered a rogue state by the international community. While this comparison is debatable, a few similarities are striking. 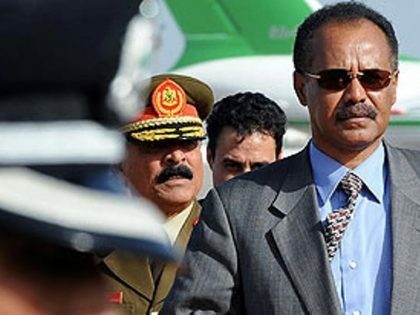 Since independence in 1991, Eritrea has been ruled by one man, Isaias Afwerki, who has consistently quashed all forms of political resistance. Most of the federal budget is spent on defense. All citizens have to serve an 18-month military service, which for many people has been extended indefinitely. The country is in extreme economic hardship: there are few formal employment opportunities, and an acute scarcity of consumer goods due to foreign currency shortages. Most people who can afford to live a decent life in Eritrea receive remittances from relatives abroad—relative to its estimated population (between 3.5 million and six million people), Eritrea has one of the world’s largest diasporas. 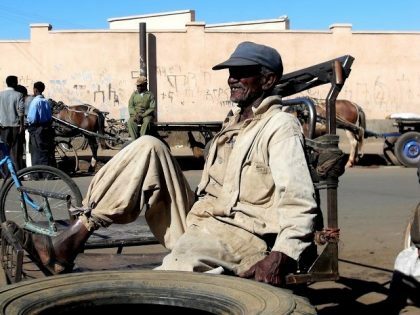 Political freedom and economic hardship have been deteriorating over the years in Eritrea. Because of this, many Eritreans have fled the country. The famous Lampedusa shipwreck in 2013, for example, was carrying mostly Eritrean migrants. Afwerki has for years been criticized by the international community and Eritrean opposition figures abroad for not doing anything about the dire situation. His response has mostly been to blame Eritrea’s hardships on the military threat from Ethiopia. Now that there officially is no military threat from its neighbor, the hope is that Eritrea will move away from bolstering its military capacity and focus on real development efforts instead. Additionally, when trade-routes to Ethiopia are fully reopened, Eritrea will have immediate access to a market of over 100 million people. 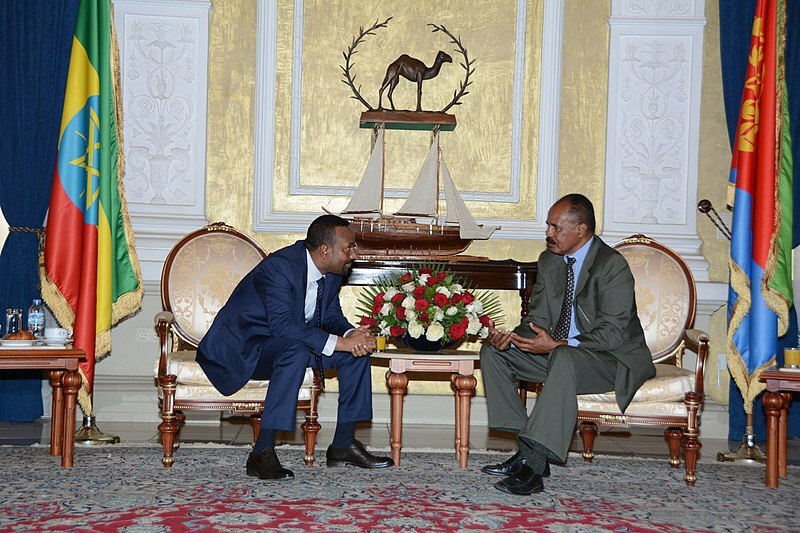 And Ethiopia will surely be interested in investing in Eritrea, perhaps on conditions favorable to the latter given Ethiopia’s interest in accessing a key sea port in Assab on the Red Sea coast. This is mostly speculation at this point though. Seeing that Isaias has legitimized his rule based on the military threat from Ethiopia, will the Eritrean people accept all these reforms without political reform as well? It remains to be seen. 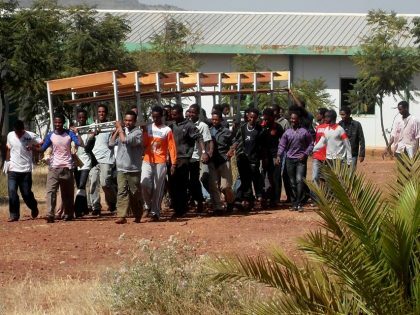 What has been seen though in the wake of the peace deal, is thousands of Eritreans crossing the border to Ethiopia. Most of these people are crossing the border as refugees, planning not to return to Eritrea. Is this good or bad for Eritrea? That’s up for interpretation. The most natural interpretation is obviously that it’s bad. A country being emptied of its people, most of whom are young and able to work, does not bode well for future development. However, Eritrea has not been able provide decent employment opportunities for its people for many years now. In fact, Eritrea’s economic model has been based on remittances from abroad. So in that sense, an economic model that is based on a massive diaspora is not harmed by a growing diaspora. In summary, even with increasing number of people leaving Eritrea, it’s difficult to see how the peace deal can make things worse in the country. The status quo might persist, but if there’s any change, it’s not a long shot to predict change for the better. Ethiopia, on the other hand, seems to have been doing fairly well despite the military stalemate with Eritrea. Real per capita GDP has been growing at an annual rate of 7.5 per cent since 2004, one of the world’s fastest growth rates in this time period. The growth has mainly been driven by state investments in infrastructure, most importantly transport and energy. With the state’s grand industrialization plans, pundits are anticipating the growth to continue. Numerous and massive export-oriented industrial parks are being built at an incredible pace across the country. In parallel, the Ethiopian government is courting foreign investments from both East Asia and the West to set up factories in these industrial parks. However, the state-led development project in Ethiopia is somewhat fragile. 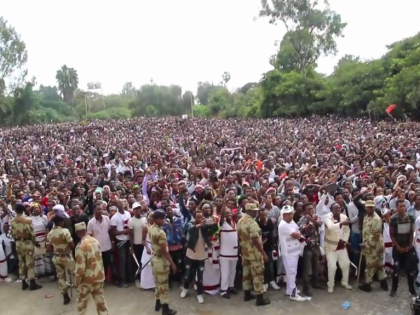 There is a widespread perception that a disproportionate share of the growing economy has gone to ethnic Tigrayans, who form the core of the ruling party in Ethiopia. 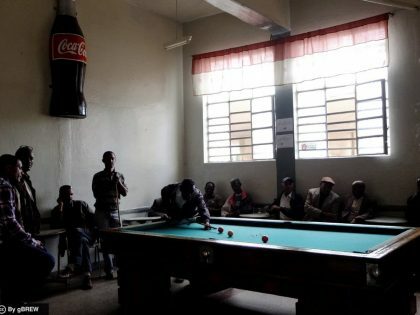 The system of ethnic federalism is showing cracks—people belonging to the two major ethnic groups, Oromo and Amhara (who together represent approximately 61 per cent of the country’s population) have been staging anti-government protests because of corruption in the political system and lack of equal economic benefits. Some argue that the peace deal with Eritrea is making ethnic violence worse. By opening the border, Ethiopia is allowing separatist groups that were previously banned in the country to enter. Indeed, in September, large-scale ethnic violence coincided with the return of 1,500 fighters from the Oromo Liberation Front, which had long been in exile in Eritrea. Yet, there’s little conclusive evidence that the peace deal with Eritrea significantly impacts ethnic violence in Ethiopia—with or without the peace deal, the issues with ethnic strife persist. Moreover, the ethnic conflict in Ethiopia does not appear to have thwarted the development trajectory. If anything, the reforms introduced under Ethiopia’s new Prime Minister, Abiy Ahmed, which aim to increase political freedom, give reason for optimism. Seeing that Ethiopia has been doing quite well throughout the “no war, no peace” stalemate with Eritrea (at least according to economic indicators), does the peace deal really mean anything for Ethiopia’s economic prospects? 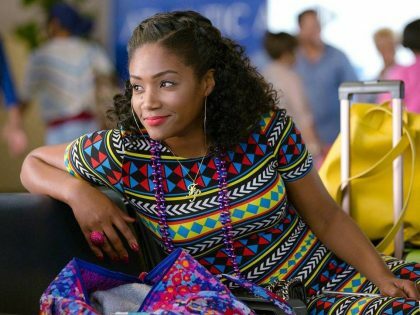 There is one potential trade-related upside. Both foreign and domestic investors in Ethiopia will tell you that high transport costs are still a major bottleneck for continued export growth in the landlocked country. For now, firms in Ethiopia are paying massive fees to Djibouti to clear containers through its port. But Eritrea can unlock old trade routes, most realistically through the port of Assab, where Ethiopia cleared two-thirds of its trade until 1998. Unsurprisingly, Ethiopia has already started talking about re-opening roads to Eritrea’s Red Sea ports. So don’t be surprised if the city of Assab re-emerges as Ethiopia’s main trade port, as it once was, most likely benefitting both Eritrea and Ethiopia. Economic forecasting is a perilous exercise. The economic consequences of the peace might turn out to be different than outlined in this article. What seems like a near-certainty though is that the relationship between the two countries has the largest impact on Eritrea—and Eritrea’s economy is therefore the largest question mark after this peace deal. What political rhetoric will Isaias adopt after years of blaming his country’s economic woes on the military threat from Ethiopia? There are early signs of hope in Eritrea: the indefinite national service might be shortened to the original 18 months of military service. But Eritrean’s are rightfully skeptical after years of promises without action. So let’s keep a close eye on Eritrea’s president in the time ahead. What does the Catalan independence movement mean for African separatists?